I've had an amazing time in Charleston, it was everything I expected and so much more. The people are friendly, the city is historic and beautiful, and the food delicious. The beaches are clean and the water warm enough to swim in, I could not have been happier. This trip turned out to be a perfect summer holiday, there are several great places to eat at, some new and some old with each offering a distinct and fun menu. Some of my favorite places on the trip were Butcher and Bee, Saffron and Sermet's. Downtown. Even as an adult, I still love fireworks and the spectacular show at Charleston did not disappoint. 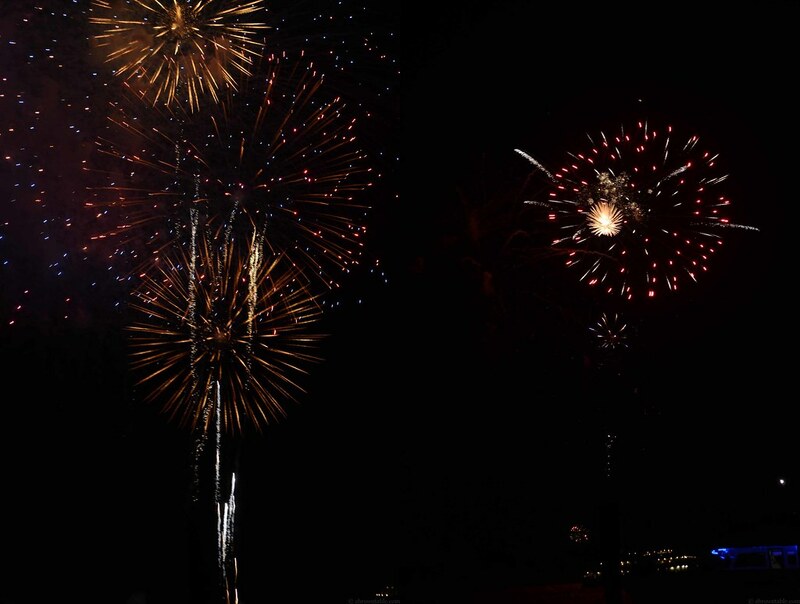 From the city's aquarium, we had an amazing view of the colorful display of lights that filled up the dark skies. 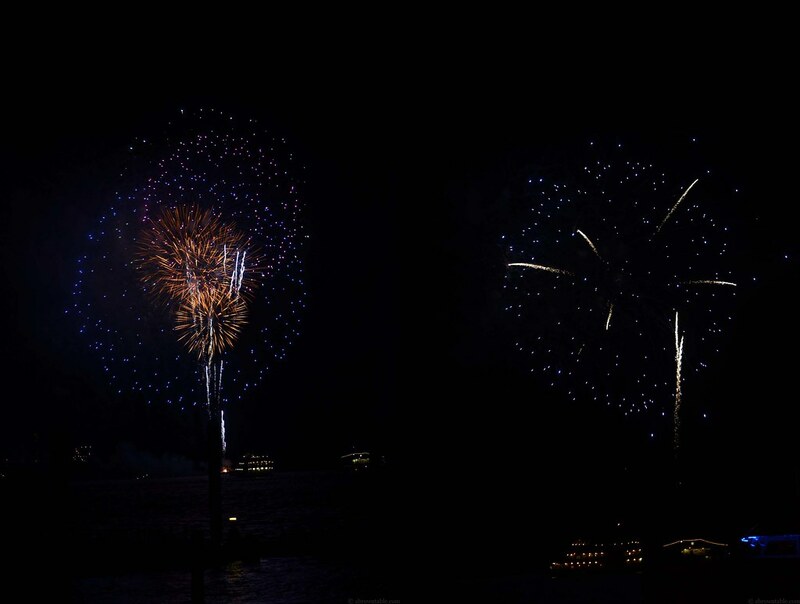 Here are some of the photographs of the dazzling fireworks that for some reason always remind me of supernovas and comets. I have an obsession with all things concerning yogurt, I eat yogurt daily and use it often in cooking. I drink it after my daily workouts in shakes and smoothies as my protein source. A few months ago, I posted a recipe on using Siggi's filmjólk to prepare a saffron and almond drink, over time I got adventurous and started to incorporate this Icelandic drink into several different recipes at home. 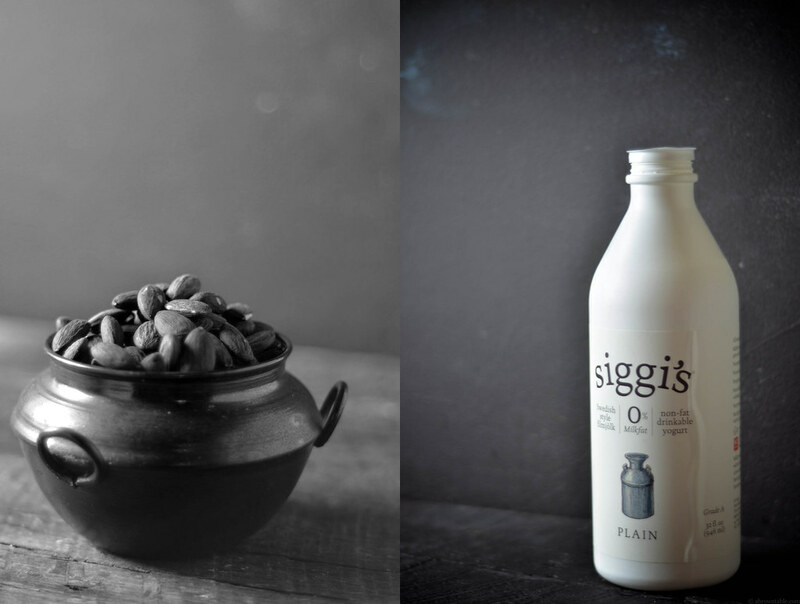 One reason why I consume and use Siggi's dairy products is because of their company's commitment to using sustainable and eco-friendly practices and the taste is wonderfully tangy. The versatility of their dairy products makes it a useful ingredient to have on hand and just as it did in these oat bran teacakes. These teacakes are delightful and beyond tea or dessert are also great to eat at breakfast. Besides the Icelandic yogurt, there's healthy and delicious oat bran, ground almond meal (with the husk/skin), and some whole-wheat pastry flour. To make it a little more adult (which is completely optional), I added in some reduced red wine for color and created a few swirls. If you do skip the red wine, then skip step#2 and the swirling portion in step#5. I can't believe how time flies, this month marks the second year of my blog. When I first began A Brown Table, I wondered if I could keep up with a weekly schedule and the demands of maintaining an active blog. That part is still hard and finding a balance between life and blogging can sometimes be challenging. So much has changed too with this blog, I learned a little bit of CSS, HTML and photography over time and incorporated new ideas and styles with every post. I've made mistakes on this journey and learned from them but every upcoming post makes me excited to share my food, photographs and stories with you. I do hope that you have enjoyed them along the way. What would a blog birthday be without free gifts and the folks at Siggi's were extremely kind to sponsor a giveaway to celebrate the wonderful two years. The rules for this contest are simple, all you need to do is leave a comment below this post on how you would use Siggi's and visit the Facebook pages and click the like buttons for both A Brown Table and Siggi's. I will randomly select five winners who will receive a free bottle of filmjólk and 4 cups of skyr, via the Rafflecopter widget below (so please sign up through the widget). This contest is only open to residents in the United States (due to shipping reasons, sorry). This contest will run through July 17th and the five winners will have 48 hours to respond, otherwise I will have to select someone else. So hurry up and enter to win and try some delicious Icelandic filmjólk and skyrr from the folks at Siggi's! Please share this with your friends on Twitter and/or Pinterest! 1. Preheat the oven to 350F and set a wire rack at mid level height. 2. Reduce the wine to 1/4 cup in a thick bottom saucepan on a medium flame. Stir occasionally to prevent burning. Remove and keep aside to cool. 3. Fix the paddle attachment to a stand mixer and cream the butter and sugar on medium speed for about 5 minutes. Add the eggs one at a time and beat on medium speed until light and fluffy. 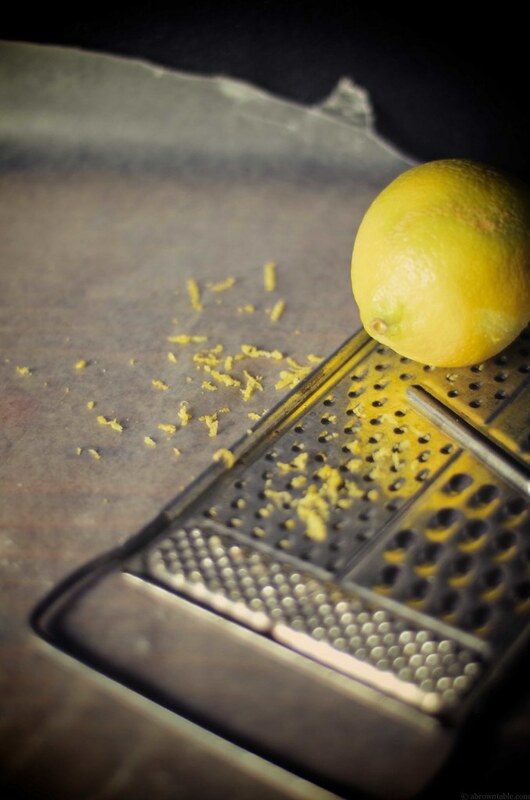 Add the lemon extract and lemon zest to the batter and beat for another minute. 4. In a separate large mixing bowl, whisk the oat bran, flour, almond meal, baking powder, and baking soda. Add half of the flour mix to the batter and mix for a minute until combined. Pour the filmjólk into the batter with the rest of the flour mix and beat until completely combined. 5. Spray and grease six mini bundt pans with the cooking oil spray. Divide the batter equally among the pans. Add a teaspoon of the reduced wine on top of the batter and each pan and with a clean skewer stir the wine a little in the batter to create random swirl patterns. Place the bundt pans on a baking tray about an inch from each other. Bake the cakes in the preheated oven on the wire rack for 30 minutes until a skewer or knife comes out clean from the center. 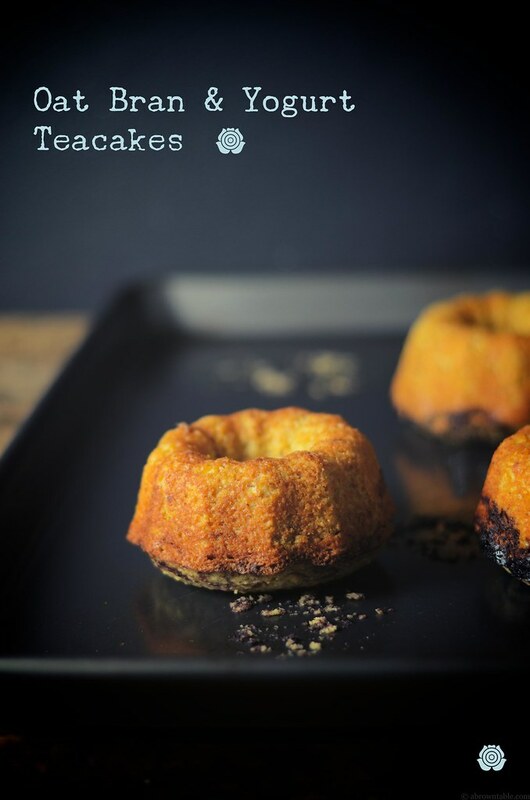 Remove the pans and flip the onto a clean plate and allow the cakes to cool inside the bundt pans. After 10 minutes, tap the individual pans carefully to release the cakes. Transfer the cakes to a wire rack to cool to room temperature completely before serving. Disclaimer: I did not receive any financial compensation for this product, all opinions stated here are my own. 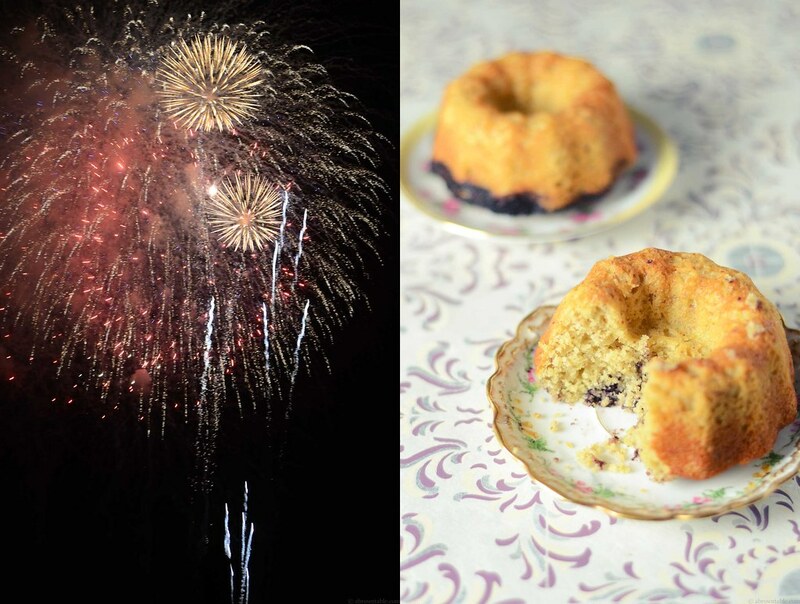 In "Almond meal", "Baking", "Cake", "Charleston", "Dessert", "Fireworks", "Independence Day", "July 4th", "Low Country", "SC", "Siggis", "South Carolina", "USA. ", "Whole-Wheat", "cakes", "oat bran", "skyrr", "teacakes"
Last week, I fell in love twice. Yes twice, the delicious first time happened when I sat down to eat at Little Serow. Even if you have to wait in a line to be seated (they only seat a few people every day and don't take reservations), it is every bit, well worth the wait. The restaurant's menu is inspired by northern Thai cuisine and every dish is a wonderful delight. The menu is fixed and every plate really does lives up to its expectation of being an explosion of flavors that will transport you to a delicious plane of spice, heat, and textures. We had a continuous supply of fresh crisp vegetables and sticky rice to go with our unique dishes that included a diverse variety of meats from fish (catfish and snakehead fish), chicken, and pork cooked. I am really not surprised that Chef Johnny Monis' Little Serow made it to Bon Appetit's America's Best New Restaurants in 2012. If you are ever in the Washington D.C. area, do try and make some time to visit this amazing treat in the city. Since I've learned that the menu changes often, it might have to become a monthly staple on my calendar! Now on to my second love! I like to think of myself as a connoisseur of yogurts and I always make it a point to try some sort of new type of yogurt. I recently came across this amazing brand of Swedish yogurt called Filmjólk by Siggi. According to the description on the bottle and the website, filmjólk is a traditional drinkable yogurt with a blend of different types of lactobaccilli. I love this yogurt plain, just a tall glass of the plain variety of filmjólk every morning is absolutely delicious. The plain version has a mild sour taste with a little tangy effervescence at the end which makes it so refreshing. It also goes great with a bowl of muesli and granola for breakfast. It goes great with almost everything! Here is a popular Indian drink known as kesar-badam or saffron-almond milk that is usually made with whole milk and sometimes a little heavy cream. However, I've used filmjólk yogurt for the base and then blended the rest of the ingredients in. I guess this a sort of Indo-Nordic fusion drink now! This recipe is way lighter in unnecessary calories, since it skips the cream and excess fat and sugar but also packs up way more protein, making it a fun smoothie that I will drink even before or after my daily workouts. 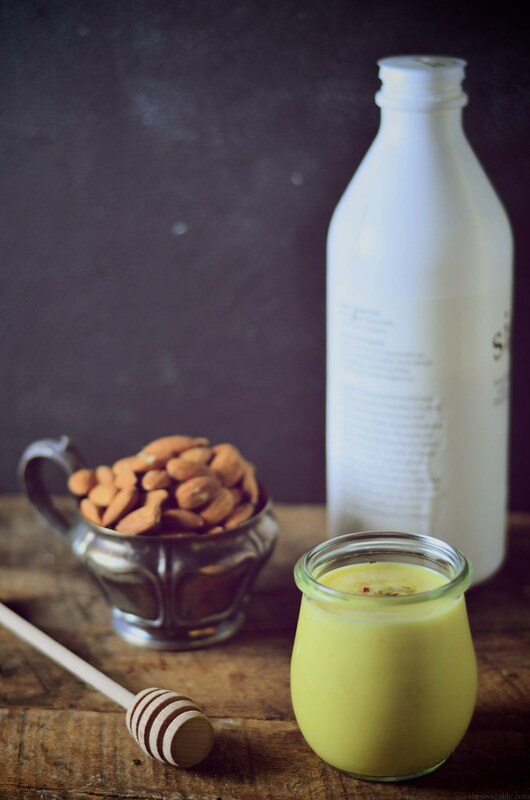 The saffron strands add a beautiful yellowish orange tinge to the yogurt while the almonds add valuable fatty acids, vitamins, and minerals to the drink. Almonds are probably one of the healthiest nuts available and have several important reported health benefits in heart disease and bone loss prevention making this is a win-win situation from every angle, I can think of. I tend to lightly sweeten this drink with a little agave nectar or honey but if you prefer it sweeter you can always add more (or less). 1. Cover and soak the almonds in hot water for 30 minutes. Drain the water and peel and discard the skin of the almonds. Keep the peeled almonds aside. 2. Heat the four tablespoons of water in a microwave-safe, heat-proof glass bowl in a microwave till it boils (about 45 seconds on high). 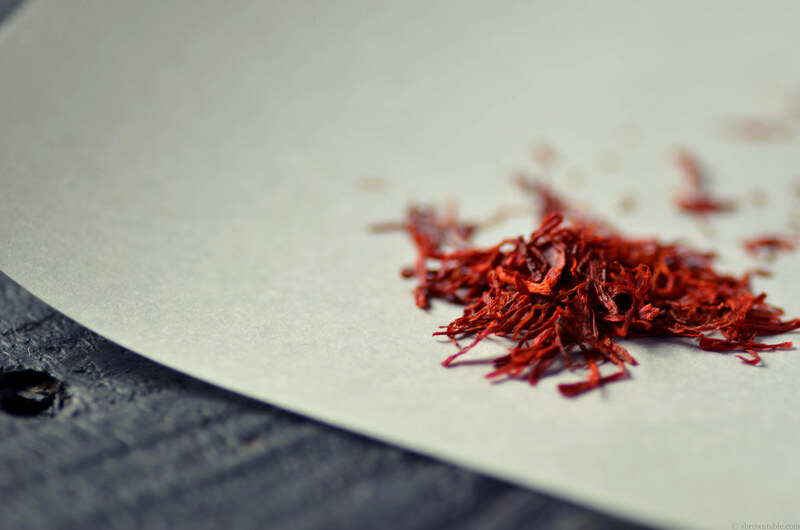 Drop the saffron strands into the hot water and keep aside for 5 minutes to allow the saffron color to diffuse into the water. 3. 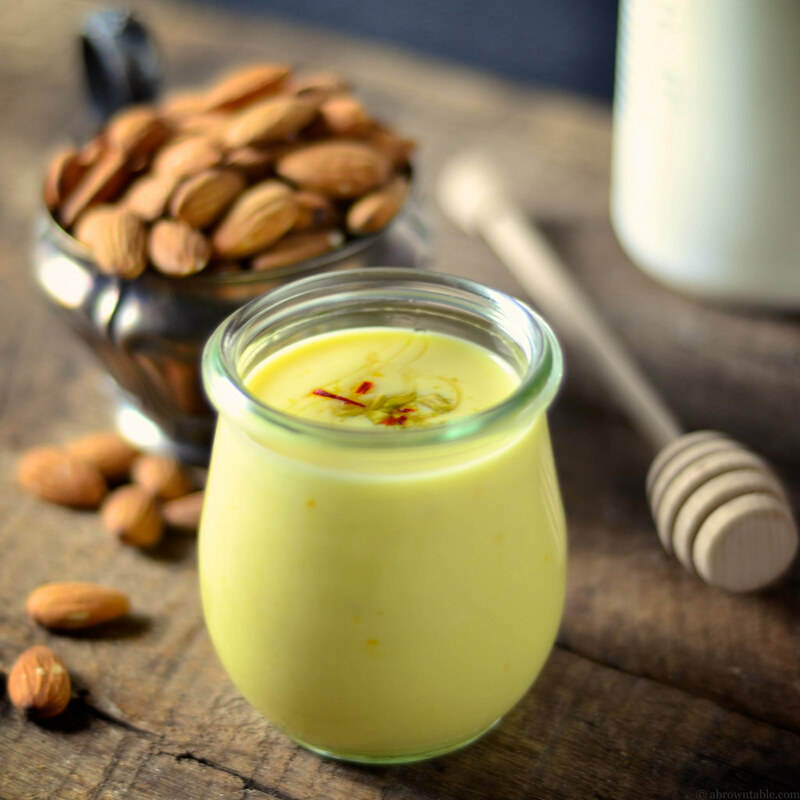 In a blender, add the peeled almonds, the saffron water with the strands, cardamom, yogurt, and agave nectar/honey. Blend until completely smooth. 4. Pour the drink into pre-chilled serving glasses and garnish with the chopped pistachios. Serve immediately or keep chilled until ready to drink. You can also add a little crushed ice to the drink before serving. Disclaimer: I did not receive any compensation or gifts from Siggis for this post. 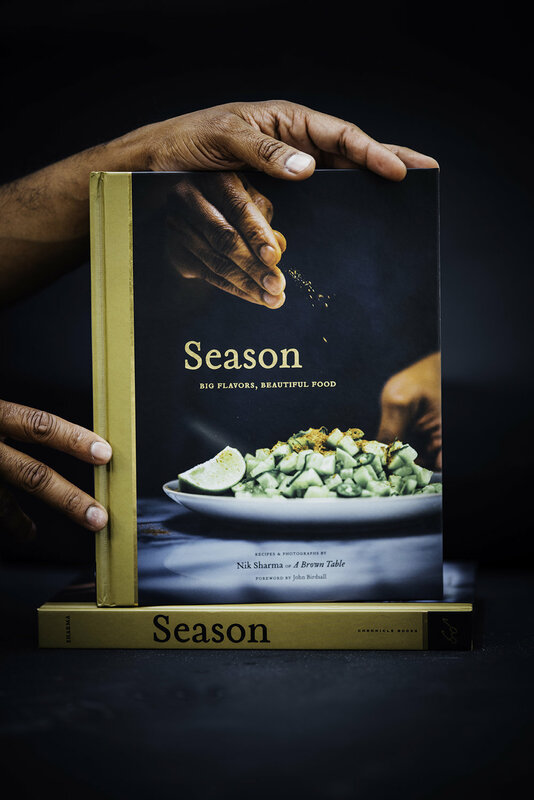 In "Cardamom", "Drink", "Honey", "Indian", "Little Serow", "Nordic", "Nuts", "Saffron", "Siggis", "Swedish", "agave", "almonds", "filmjolk", "smoothie"